An ophthalmologically tested gel-crème for the delicate skin around the eye. 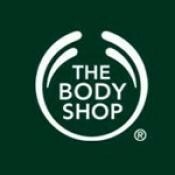 It is designed for skin that needs more gentle care. Our Community Fair Trade organic aloe vera is grown without the use of harmful pesticides or fertilisers. It is hand-harvested, hand-washed and hand-filleted within 12 hours to preserve the freshness of the gel. The whole of the aloe range is amazing. I love how this cools tired eyes and makes them feel more refreshed. It helps a little with dark circles too which is a bonus, mine appeared less dark than usual. Great for relief especially with hayfever, my friend swears by this in spring. It helps with the sore stinging sensation she gets with it too. For the money this is great eye treatment. I suffer from regularly irritated eyes from a sinus problem and have tried so many eye products to combat the itchiness, puffiness and irritation round my eyes. 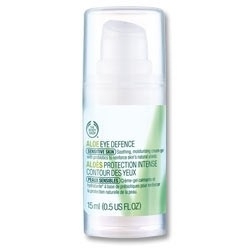 This eye defence is a lightweight gel/ cream texture with aloe vera and sesame seed oil. It comes in a practical and sanitary pump dispense bottle which dispenses the correct amount of product to prevent over usage. I normally shy away from cream formulas as they ten to cause puffiness but this product is so light I have suffered no such problem. You only need a tiny amount for both eyes and when applied it feels cooling. It soothes irritation and re-hydrates the eye area without causing puffiness. It also has a fragrance free formula. This eye cream is really cooling and refreshing on your eyes,i love aloe products,they are so refreshing and kind to skin. It has a great dispenser so that no product is wasted and lasts for ages.